I've been selling on eBay for many years now, in fact I joined back in 2005 so you could say I have a pretty good knowledge of using eBay. 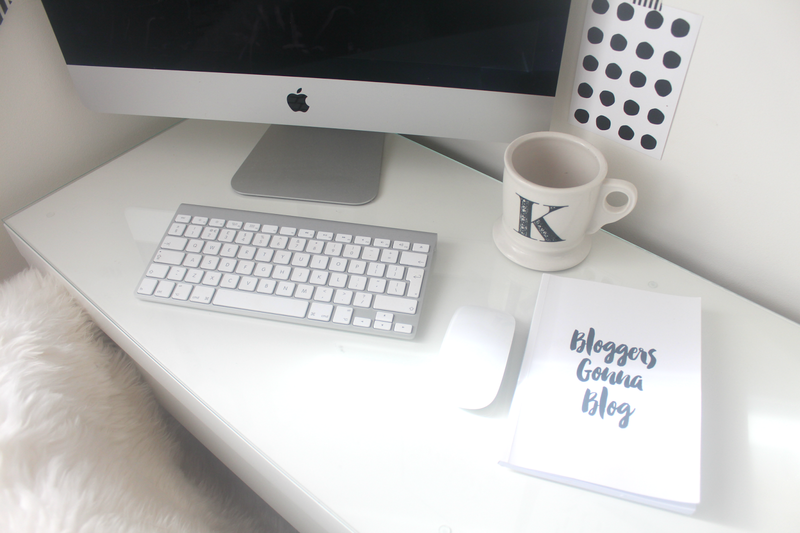 Today I thought I'd share with you my top tips for selling whether you're just getting started or have been using eBay for a while yet not seeing any results. 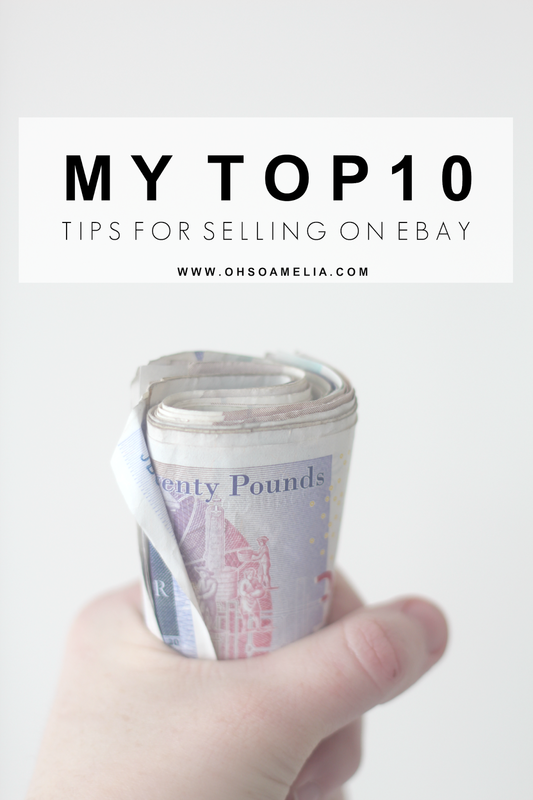 Here are my top 10 tips for selling on eBay. If you've not used it in a year... sell it! I use this rule when having a clear out, one pile to go to the charity shop, one to sell on eBay and anything else gets binned. If I haven't used it in a year then I'll put it on eBay as I'm not likely to use it again. Don't bin it, eBay it! Although I said above that I bin stuff, that's mainly just junk like paper, and unusable items. You can sell pretty much anything on eBay so even if you do't think you'll be able to sell it, list it! I've seen old newspapers, used smelly shoes, tax discs, designer shopping bags, and even empty toilet rolls. If you're listing a lot of items, it's much quicker to do it through the eBay app on your smartphone. Especially if you have a number of photos for each item. You can do pretty much everything on the app that you would via the website. I like to set aside a day in the week/month and take photos of everything then list them in one go. No one's going to be interested if you don't display an image of the actual item, or if its dark and they can't see it very well. Try and use as much natural light as possible and place the item on or behind a plan background, preferably white. 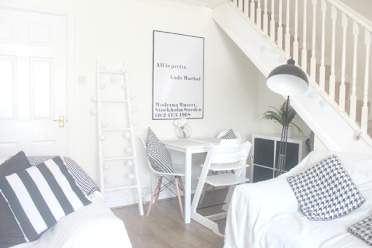 You're not allowed to upload 12 images for free so take advantage of this and add as many as you can so the buyer get's a good idea of what they are buying. Take shots from different angles, close ups and one from a distance depending on what you're selling. 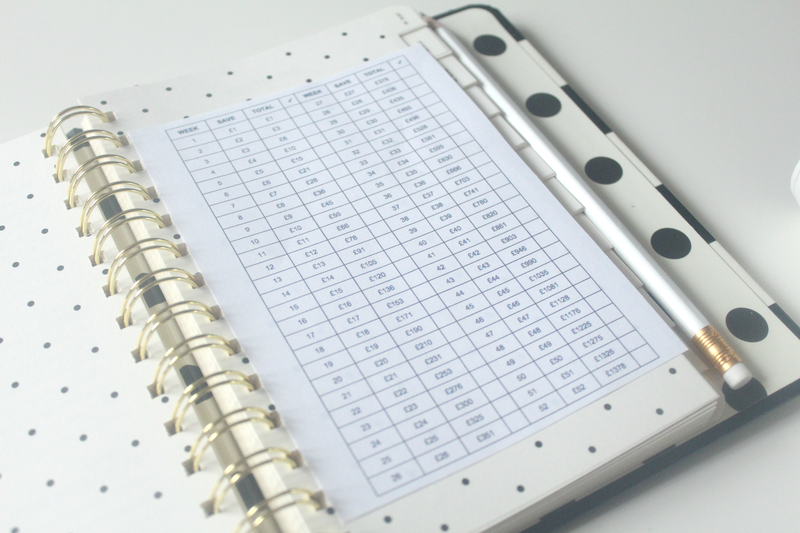 Now that eBay allows you to schedule 20 listings for free every month many people have found that scheduling your listings give them a much better chance of selling them. If for example you were listing them at 1am on a Saturday morning they're most likely not to get seen straight away. Schedule them to go live for 10am the following morning. If you're selling via auction don't forget to specify a postage cost otherwise you won't get much back in return if you have to fork out the postage costs yourself especially if the item only sold for 99p. Try to be as accurate as possible, if the postage is too high the buyer may leave you bad feedback. I tend to list a small parcel at £2.90 to cover the packaging costs too. If you're selling many items in one go or a heavier item it may be best to use a parcel delivery price comparison website such as My Parcel Delivery. Using a comparison site like My Parcel Delivery gives you access to a range of convenient courier services –– including some where the courier will collect the parcel from you, and their prices can be up to 69% cheaper than Royal Mail too! As well as your 20 free listings make sure to keep an eye out for "free listing days" where you can list as many items as you wish without an insertion fee. eBay will still take 10% of the final sale price if it sells but you won't have to pay the insertion fee for each item. Check out the Free Listings thread on Money Saving Expert here to keep track of these offers. Sunday evening is known to be a popular time for ending auctions on eBay. Also, by listing your auctions for 10 days on a Thursday evening rather than 7 days means that you cover two Sundays which means you're most likely to increase your eBay sales. If you'd rather not list if for 10 days make sure you're not ending the listing at a time where not many people are going to be active online. People will be more likely to bid on your item if you give it a thorough description. Not only will it help them if they're searching for something but by including relevant keywords and popular eBay abbreviations such as BNWT or BNIB you're more likely to get your listing seen. Have a look at similar listings when selling and see what other people are using in their title and descriptions. To help build your eBay profile always leave feedback for buyers as well as when you buy anything yourself. I used to be really bad at this which meant the other person/company wouldn't leave feedback also which meant my feedback rating didn't increase. Now I have a high score which in result means buyers are more likely to purchase from me than someone with a feedback rating of 0 or 50. Do you have any tips to share for selling on eBay? Wanting to make more money? Check out these posts. I hadn't realised we got free scheduled listings now. That's handy to know. People not leaving feedback is annoying because it also shows you the item arrived and didn't go awol in the mail. Some nice tips here. Will put them to use in the future! Some things i'd never have thought of - thanks! Some good tips. One that I would add is to add as much detail as possible. I learnt this the hard way through selling some belts - someone wanted to know the thickness of the belt, the width, the length and the same for the buckle and it took me ages going back and forth with each question they asked! Adding all the detail at the start saves a lot of unnecessary emailing! To figure out if or not you ought to open an eBay store, you might need to inspect the focal points and drawbacks of having one.